With direct cremation being a more affordable option than burial, more and more people are turning to that option for themselves and their loved ones. However, this raises the question in some people’s minds as to whether they should have a funeral service. 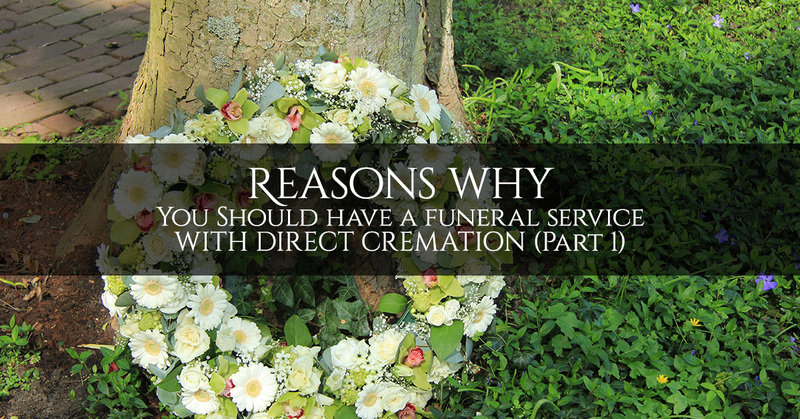 Direct cremation does take away the possibility of having a traditional viewing, but it doesn’t prevent you from having a memorial service for your loved one. Here are a few reasons from our funeral home in Brooklyn as to why you shouldn’t skip the funeral service after your loved one passes away. 1. It allows all the family to come together. 2. It gives you space to grieve. Grieving the loss of a loved one is hard to do, but everyone expects you to be in grief at the funeral service. If you don’t take the space to grieve there, you may find to your dismay that life marches ruthlessly on, taking away your chance to grieve deeply and fully. Don’t rob yourself of the funeral service. The reason why our society does this is because people are better off when they have the space to grieve their loss in an appropriate and fitting environment. 3. It is a valuable and healing time for everyone. You will never fully recover from the loss of someone you love, but you do need time to heal and process your grief in a healthy way. The time of the funeral service is a time that is valuable for everyone to begin to process their loss, let it sink in that the deceased person is gone, and offer each other the togetherness and moral support during one of the hardest times in life. You need other people around you, especially if you lost someone very close to you. In the same way, the people who weren’t so close still need to come close, express their condolences, and join you in your sadness. We are here to serve you with all your funeral needs. Please contact us today.